Ricardo has pledged to support a number of undergraduates studying STEM subjects at educational institutions in the regions around its main sites through the Ricardo Centenary Bursary Award. As a company, Ricardo wishes to contribute to local communities by supporting students in greatest need of financial support to further their education, whilst also encouraging more young people to study subjects which are at the core of Ricardo’s passion and expertise. Ricardo will offer one fixed-sum bursary per main site per year for the duration of the recipient's degree course. In the first year (2015) we launched the initiative for students studying in the vicinity of the Shoreham Technical Centre, offering a bursary of £3000 per annum. 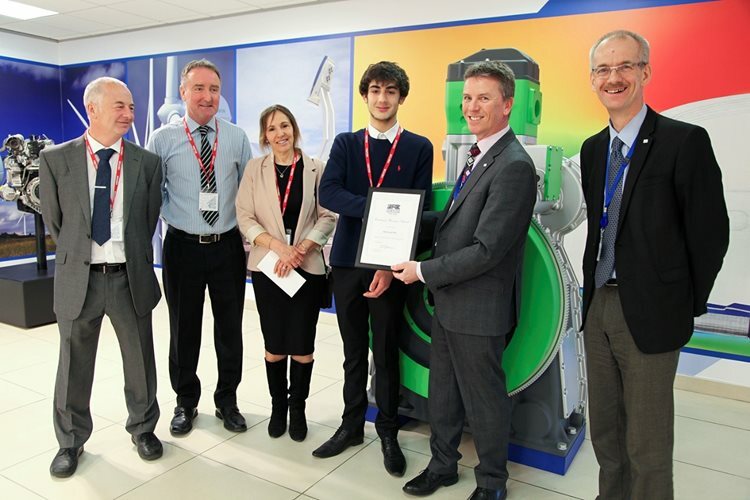 On 12 February 2015, the company held its first ever scholarship assessment day at the Shoreham Technical Centre. The 4 shortlisted applicants attended and took part in several assessment stages before the difficult decision was made. All applicants showed great ability, commitment and zeal towards their chosen STEM subject, which made the choice challenging. The winner of the first scholarship award was Matthew Van-der Kieft who will receive a bursary of £3000 per annum, and also invaluable work experience throughout the duration of his study. His further education will be in the field of motorsport. Every student who attended showed great passion and enthusiasm throughout the day, and the three other students who made the shortlist have also been offered summer work experience. For 100 years Ricardo has been engaged in designing and developing innovative solutions to client needs. The passion of our founder to improve system efficiency, environmental impact and fuel efficiency remains our core driver today. This brand new 400m2 centre will be built to showcase these key achievements through the years, culminating with some of our very latest technology demonstration products. With both vehicles and powertrains on display there will be a fascinating insight into the heritage of the Ricardo organisation as well as previously unseen material which will now be available to the wider public. The centre will be designed with maximum flexibility to enable the space to be used for technology training courses, Institutional lectures and wider corporate or community events, which we expect to keep the centre constantly busy.